Expanded eligibility for Medicaid is an important part of the Affordable Care Act, and the AHCA would reverse this expansion. Obamacare, President Donald Trump is fond of saying, is a “complete and total disaster” and must be replaced. Yet one of the most significant features of his party’s proposed replacement has little to do with Obamacare. The American Health Care Act would drastically reshape Medicaid — ending the federal government’s long-running, open-ended commitment to help states pay for care for the poor. Instead, in 2020, Washington would make limited per capita contributions that would shrink as a share of costs with every passing year. True, expanded eligibility for Medicaid is an important part of Obamacare. And the AHCA would reverse this expansion. But its much bigger change is to the Medicaid program as it existed long before Obamacare. 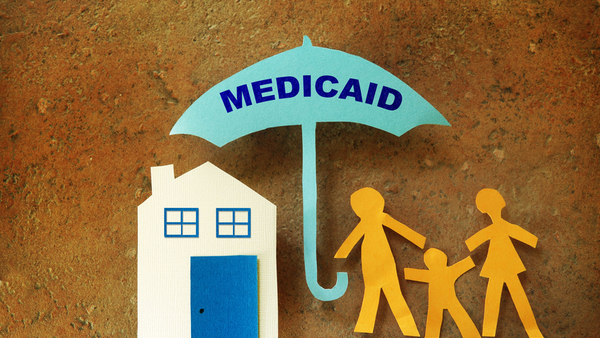 Medicaid is a popular and relatively efficient insurance program that has provided health care and peace of mind for millions of Americans for more than half a century. Why start taking it apart now? Part of the rationale is that the changes to Medicaid would save $880 billion over 10 years, allowing Congress to make further tax cuts later this year. (Trump telegraphed the strategy in a speech to supporters Monday.) At the same time, many Republicans have long disliked the program’s open-ended promise of federal money. Whatever the reason, it’s a step in the wrong direction. Those who lose Medicaid coverage would still need care, and their fellow Americans would still have to pick up the tab. As things stand now with Medicaid, states pay doctors for providing care to enrollees, and the federal government reimburses the states up to 75 percent of that cost. When a state spends more than usual — in the event of a hurricane or an opioid epidemic, for example — the federal share keeps up. Under the AHCA, each state would instead be given a capped allowance, and that amount would rise each year with medical inflation. It would not account for any unforeseen expenses. Over time, as the rise in per-patient costs outstripped the rise in general medical inflation — as the Congressional Budget Office assumes they will — the federal share of funding would decline. Hundreds of billions in costs would be shifted from the federal government to the states. In response, states would need to either raise their own spending on Medicaid — or more likely, offer fewer services to fewer people. It is this last possibility that is most disturbing. Medicaid has been required to cover some groups of people — mothers and children living in poverty, for example — but not all. One of the consequences of the AHCA would be to discontinue coverage to many who just recently gained coverage under the expansion funded by Obamacare. If a state took the option, now included in the AHCA, to accept a Medicaid block grant rather than a per-capita allotment, it could set its own eligibility standards. Sending large groups of people back to the private insurance market in a post-Obamacare world, with its increasingly unaffordable premiums and increasingly expensive out-of-pocket costs, would be not only inefficient but also unjust.